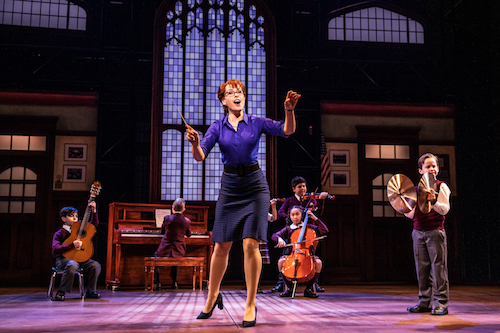 After a personal message from Andrew Lloyd Webber assuring us all the children will be playing their own instruments throughout the show, the theatre’s audience – seated elegantly in our plush red velvet seats and fancy frocks – are flung into joining the cast, performing as the head-banging crowd at the Battle of the Bands; an element which sends a whir of excitement through the room and has the poshest of gents fist pumping the air. 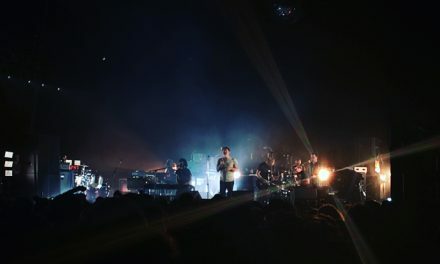 A steamy group of black leather clad (and mostly shirtless) lads, No Vacancy, slink about the stage knee deep in fog singing I’m Too Hot For You. 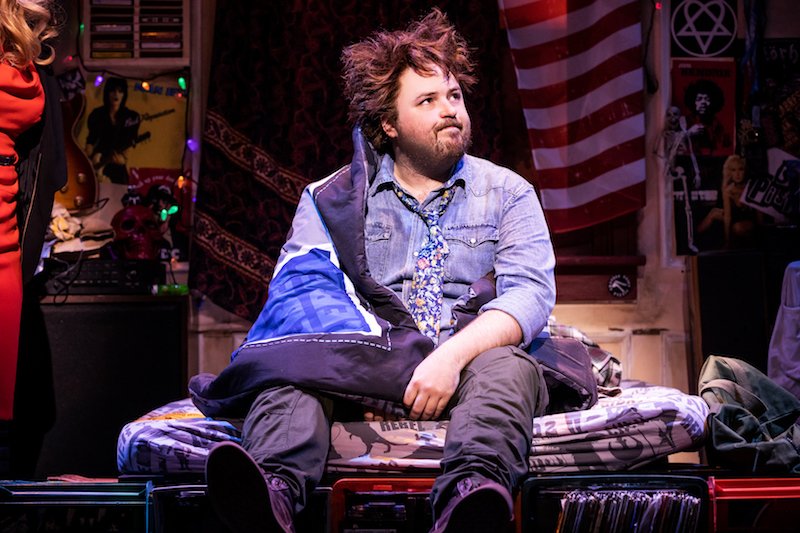 If it wasn’t for the band’s guitarist, Dewey (played by Brent Hill), changing the mood with his playful hi-jinx, you could be fooled into thinking you’d walked into the wrong room. For anyone unfamiliar with the 2003 movie School of Rock (shame on you), the story surrounds lovable rascal Dewey Finn (Jack Black) who, after getting kicked out his band and desperate for cash, steals the identity of his flat-mate, Ned Schneebly, and accepts the position of a substitute teacher at an elite primary school. 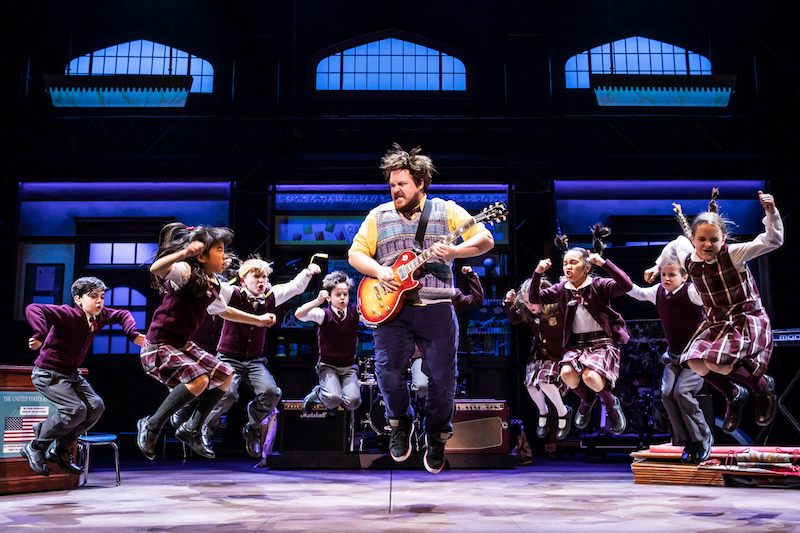 He soon discovers most of the class can play instruments and cancels all future academic teachings to transform the group into a rock ‘n’ roll band. 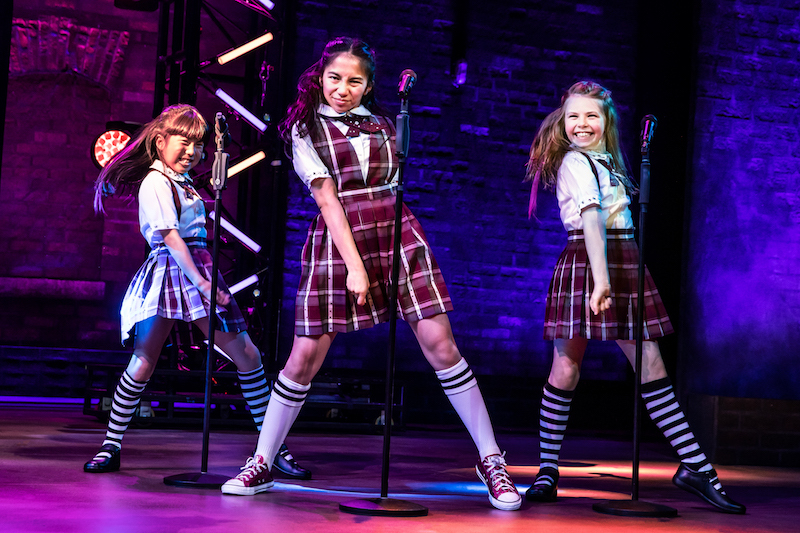 The first 20 minutes of the show eases us into the storyline and showcases particularly impressive choreography when the two flatmates are playing Guitar Hero. Genius lighting skills are used throughout, including the perfectly timed, god-like glow shining from our lead’s guitar case when it opens. 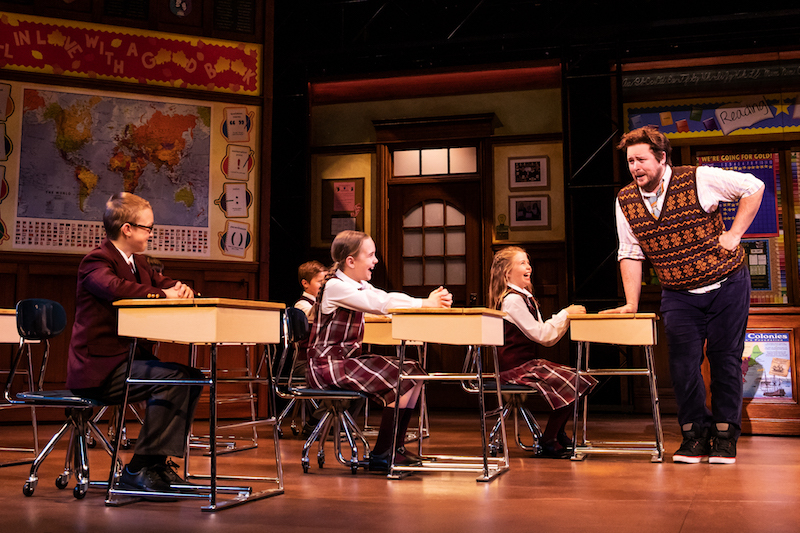 The stage design is simple, yet brilliant, flowing from Dewey’s grubby bedroom to the grand halls of Horace Green private school in a blink of an eye. Each set transports you effortlessly to a different scene which possesses an air of authenticity. 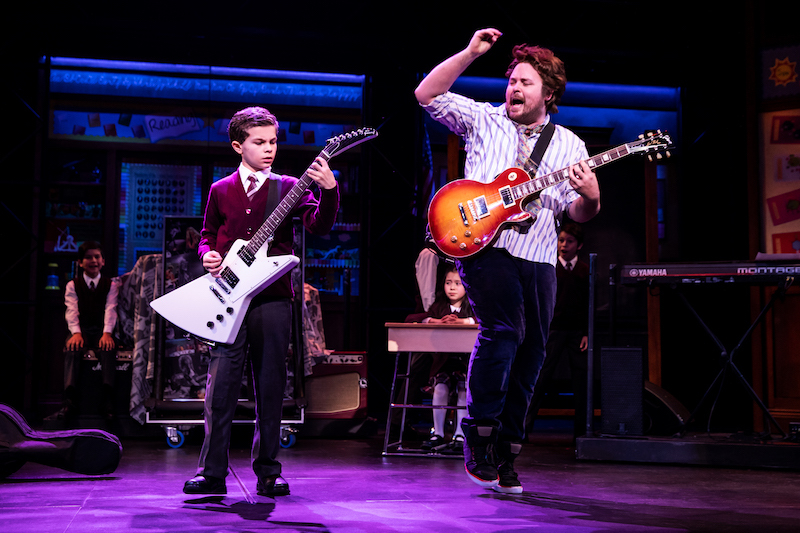 The show picks up an entirely different pace halfway through the first act when the kids begin to play their instruments and smash out You’re In The Band… this is when the real magic begins. 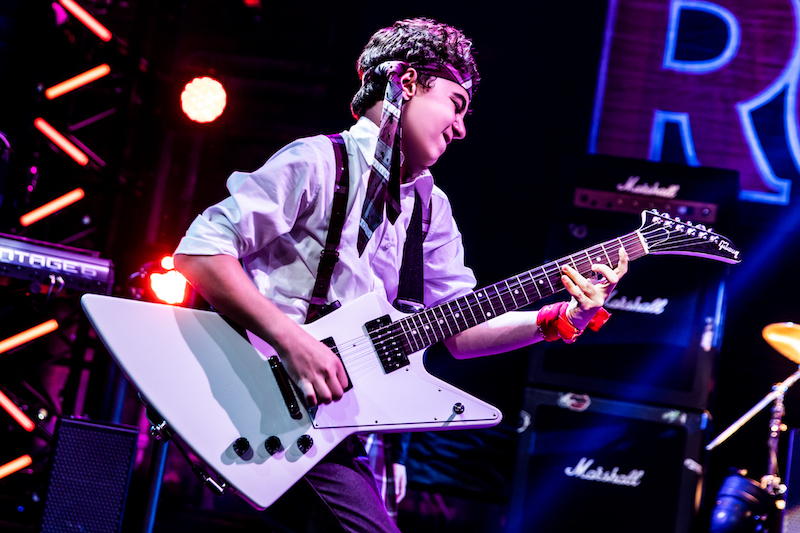 In turn, each child exhibits the extent of their talent – not only with their musicality and skill, but the power they possess in capturing the audience’s anticipation and amplifying it to uncontrollable rock-citement. 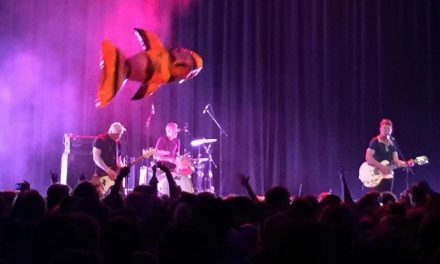 Zack (Jayden Tatasciore) was the smallest guitarist on stage… possibly the world (seriously, his guitar was bigger than him), and he and Katie (Samantha Zhang) on bass ‘shredded our faces’ as we witnessed the band come together. 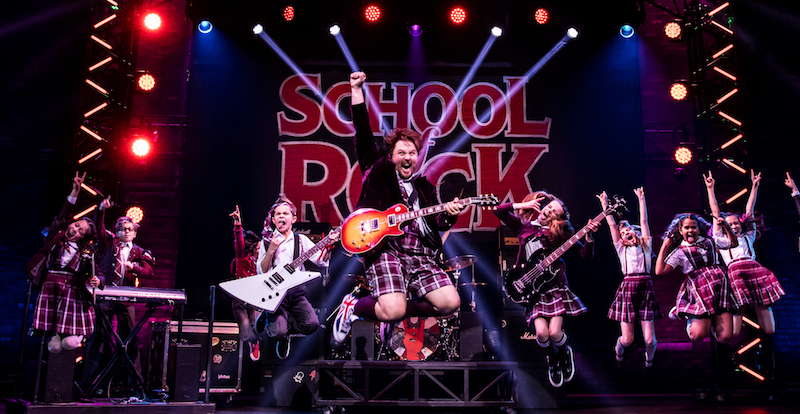 With Freddy (Kempton Maloney) bashing the drums, Lawrence (Orlando Schwerdt) killing it on keys and the rest of the class now in the group, this is the moment when The School of Rock The Musical takes off and doesn’t come back down to land for the rest of night. 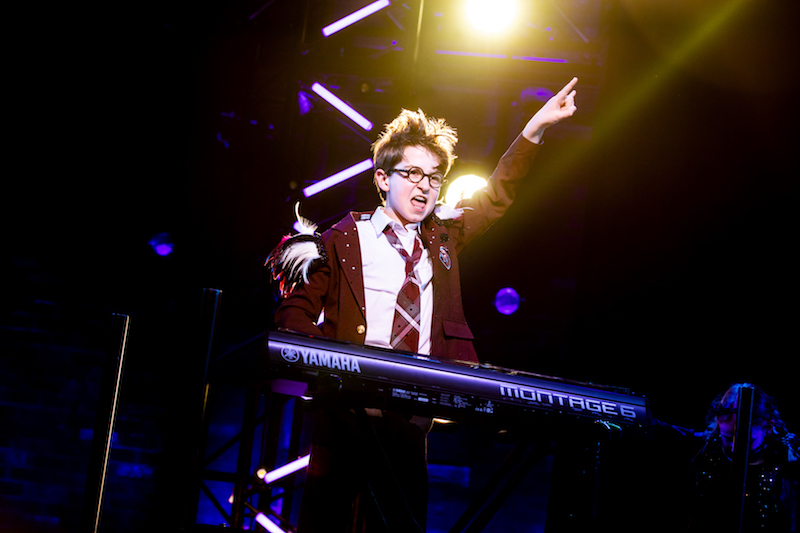 Our cheeky lead character Dewey, played by Brent Hill, maintains an astounding level of energy for the entire show – there is barely a moment when he is not on stage jumping, head-banging, playing, screaming or singing. His rapport with the children is unmistakable and is both heartwarming and inspiring to watch. 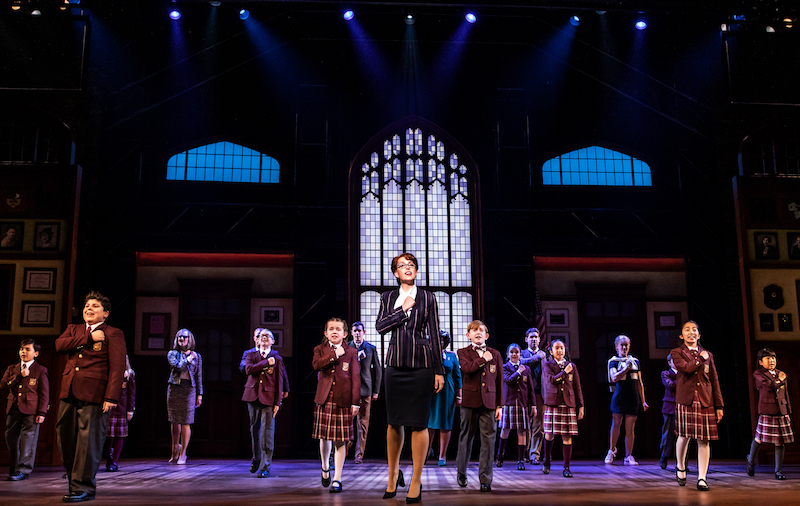 The uptight head teacher at Horace Green, Rosalie (Amy Lehpamer) has almost morphed into the movie version actress, Joan Cusack. 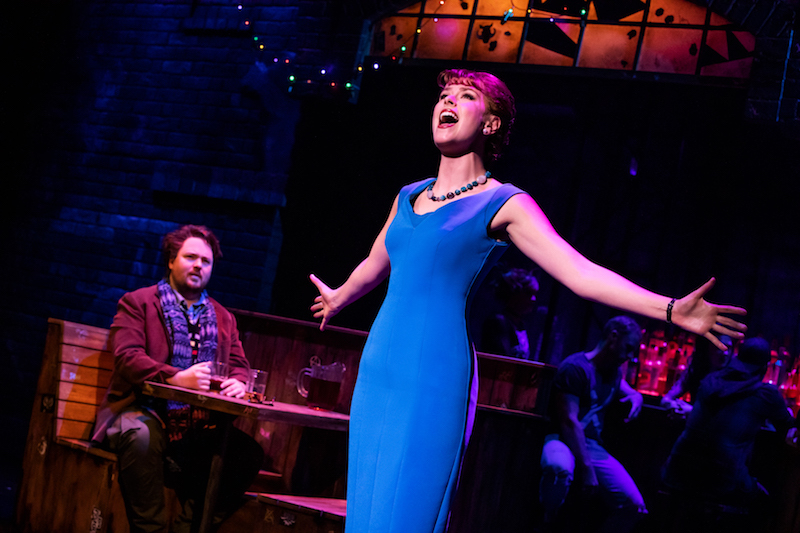 The star’s voice and stage presence is consuming. 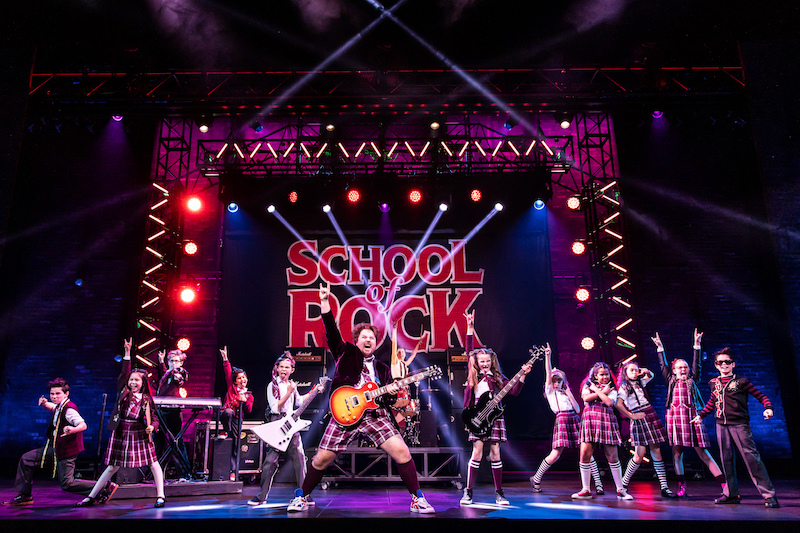 Despite being the actual Lord of Musical Theatre, Andrew Lloyd Webber may not have been the obvious choice to write the music for School of Rock The Musical. I could have envisaged a younger artist, active in the current live music scene… someone like Dave Grohl (imagine!) 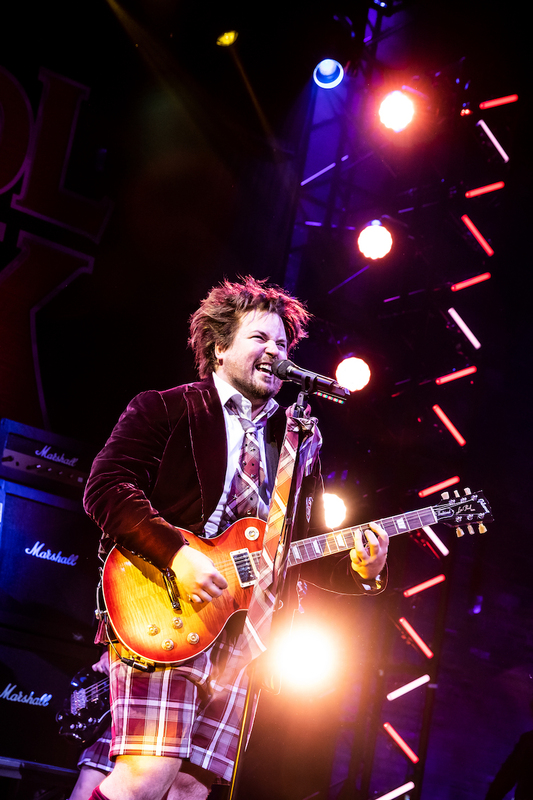 or even Tenacious D?! 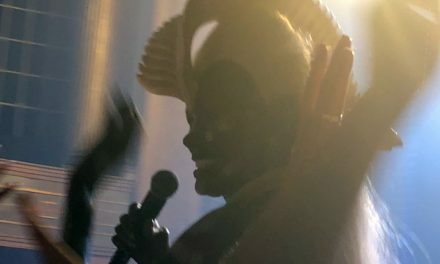 However, the tunes were superb – Mr. Phantom of the Opera has combined the two genres and produced a catchy, rock-worthy score. 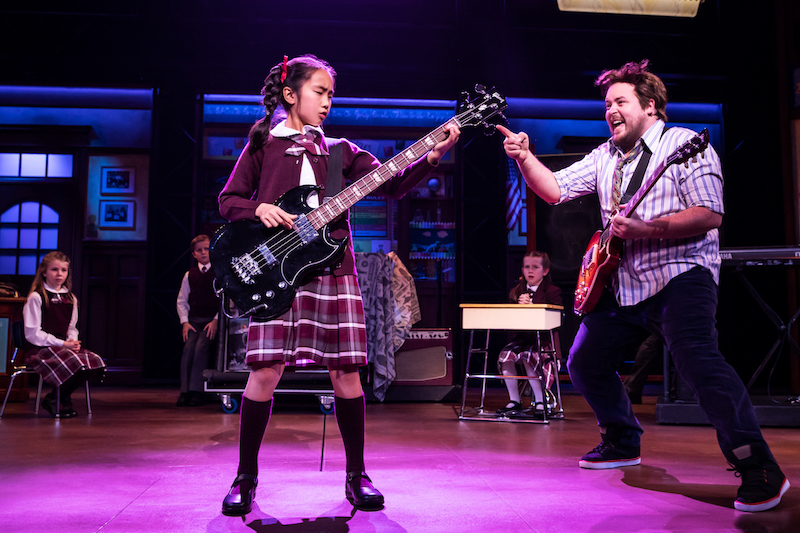 School of Rock The Musical is utterly exhausting; we clapped, screamed, whooped, and most of all WE ROCKED.